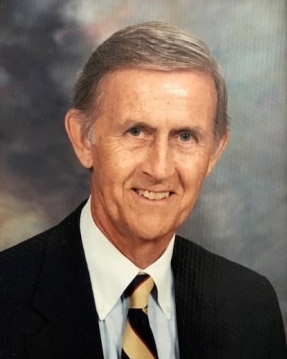 John M. Lindsey, Jack, of Ft. Myers Florida died Jan. 14, 2019. Born Jan. 8, 1930 in Peekskill, NY to Morton and Blodwyn. Jack was predeceased by his parents, his wife of 55 years Doris, and daughter Gail and survived by her husband Michael Cox. He is survived by his sister Joan Rasey of Littleton Colorado, three daughters Linda L. Meyers (Steve) of Miami and their children Matthew, Lindsey, and Eric; Jill Lindsey Auman of Ft. Lauderdale and her two sons Jonathan and Micah, and Lisa Lindsey of Ft. Myers and her two sons Joe and Jack Madden. He was a graduate of Duke and Univ. of Denver Law. Lindsey was an attorney and senior officer of the Civil Aeronautics Board in DC, National and Pan Am Airlines in Miami and New York, and Southeast Bank in Miami. He was a retired Navy Captain and Air Intelligence officer who served in Korea and in the reserves and will be buried at Arlington National Cemetery with Military Honors beside his beloved wife Doris. He was a community leader with the United Methodist Church, Hurricane Andrew Relief (We Will Rebuild), and tennis enthusiast (Royal Palm Miami, Boca Grande Club, and Legends in Ft. Myers). He was loved and admired by many. His church involvement as a leader spanned from Kendall UMC in Miami where he taught Sunday school over 20 years, to Christ Church NYC, to Boca Grande-Lighthouse UMC, to Cypress Lake UMC in Ft. Myers and First UMC Coral Gables. Known for his generosity, his integrity, and humor, Jack loved travel, Duke Basketball, supporting his church, and spending time with family and friends. Jack was also a great story teller and piano player. He was an outstanding role model not only for his children and grandchildren, but many whom he mentored through the years. A Memorial service for Jack will be held at Cypress Lake UMC in Ft. Myers on Sat. Feb. 23 at 2pm, and at a family service with Military Honors in Arlington at a future date. A memorial will also be held at First United Methodist of Coral Gables on March 16 at 11 am.